Floodplains are the areas of level land located along the stream banks of rivers and streams. The flood risk is great in these areas due to their location and level topography. Often, floodplains contain a mixture of wetland types. Hydric or water-loving soils are typical of these environments. These dark-colored soils are rich in nutrients, providing ideal conditions for crop production despite the flooding risks. During the early days of European settlement, many floodplain areas were drained so that these areas could be used by farmers. Corn has the distinction of being grown in more countries around the world than any other crop. The United States is the primary producer and exporter of corn globally. The majority of corn grown in the United States is used for feed and other residual uses. Today's farmers are able to choose from multiple hybrids, developed for specific conditions. Floodplains such as the Illinois River valley are highly productive river systems. This fact makes these areas attractive for agriculture. Nutrient-rich soils and a lower risk of dry conditions may outweigh the flooding risks for some farmers. Soybeans are another crop commonly found in floodplains. Farmers often plant both corn and soybeans, alternating between the two crops. Using the two in this way offers several advantages to farmers. First, soybeans provide a natural fertilizer by fixing nitrogen from the atmosphere, creating nitrogen-rich soils. Lands that are intensely farmed may suffer from poor soil conditions. Second, alternating soybeans and corn is an alternative to pesticide use called integrated pest management. The concept is simple. 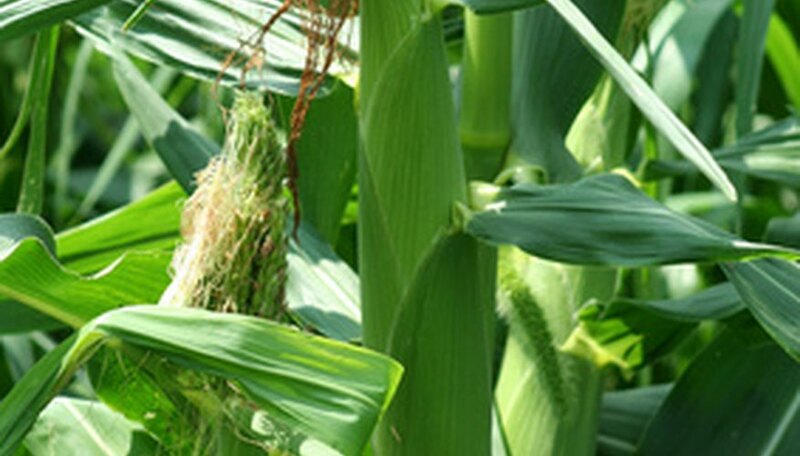 Pests that attack corn are plant-specific; that is, they feed on only one type of host plant. If a corn crop has been infested, alternating with soybeans removes the host and thus the pest. Planting soybeans in the already nutrient-rich soils of floodplains allows farmers to maintain high production levels. Production of switchgrass in floodplains offers farmers a flood-tolerant alternative to corn and soybeans. Switchgrass is used as a biomass fuel crop. Like corn and soybeans, switchgrass can be used in the production of alternative fuels. For the farmer, there are advantages to planting this crop. The plant is perennial and is able to regenerate itself through self-seeding. Another risk with farming in floodplains is agricultural runoff of pesticides, fertilizers and organic waste into water resources. Switchgrass is tolerant of poor soil conditions, making it a good choice for farmers. It provides food for wildlife, albeit not always a farmer's intention. It is a native grass, found in almost all of the United States except the west coast states.